Flash fiction competitions are everywhere. I see people posting about them on Twitter and many magazines offer the chance to tell a story in a set number of words. Sometimes flash fiction can be 2000 words and sometimes it can be 200, I’ve even seen ones as little as 10 words! I often think that flash fiction is a great way to improve your writing skills. You have a set amount of words to tell a story and you somehow have to include all the important information in there. This forces you to cut out the things you don’t need that have no way of pushing along the narrative. It stops you from rambling on and boring the reader. The aim of flash fiction is to make sure every word counts and allows you to give your readers a taste of your talent and storytelling. It can also be the start of an amazing novel. It saves you from wasting time on a lengthy plot that bears no interest to your readers. If a piece you have written is worth expanding, your readers will come to you with questions about what happened leading up to, or following, the event. To inspire your flash fiction, you may want to turn to art or music. I find that art particularly is good as a basis as everyone can look at a piece and receive a different story. It’s your own interpretation that makes it special. A piece of art is also good specifically for inspiring flash fiction as it captures a frozen moment, allowing you to think of what could be happening during that short moment captured in time. Joanie flung open the window and drew in a deep breath of the fresh, salty air, feeling it clear out her lungs of dust and grease. She watched a little white boat sail past, drifting on the clear blue waters and she couldn’t help but smile. Grandmama would be so proud! She thought, picturing the wise, old, lavender-smelling lady who had raised her since her parents’ death as a child. Joanie snorted at her memories and ran her rugged fingers across the distressed window sill, flicking the flaking blue paint away. She almost couldn’t believe it herself that she had actually done it! Years of late nights and extra shifts at that Lord-forsaken bar, years of pruned fingers from washing dirty plates, years of drunken men reaching for her, caressing the tight material of the uniform her boss insisted she wore; She tried not to notice in the hope of better tips, for all that mattered was living in a house by the water. The last day of work was the hardest but she knew she was just a few coins away from having enough for the house. So, she smiled as she cleaned the dishes, she smiled still when the cook yelled out demands, she even smiled when the drunken men reached out for her. She could barely contain her excitement at the end of the day when her boss handed her the week’s wages. Still clutching her dish rag, she raced out the bar and up the hill to the dealership to pay for the house. Leaning on the windowsill, she thought of her past and her future, but most of all the thought of how proud she was to be living in the present day. She flung down the old dish rag and laughed. “I better get started cleaning this place!” she said, standing straight. Just before leaving the window, she placed an old framed photo of a couple holding a baby by the water, Joanie smiled at the photo, then got to work. Be sure to let me know in the comments what your opinions of flash fiction are! Does it work for sure? 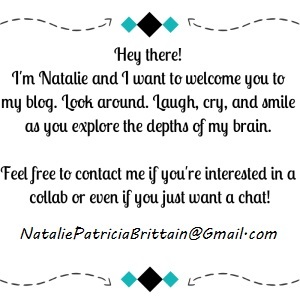 Feel free to send me any pieces you’ve written! I’m always happy to help out with a workshop or two! Lovely read! Your blog’s easy to navigate & filled with uplifting content! If you like, I was going to link to your blog in my next Award post, no need to participate in the personal quiz if you’d prefer not to, but would you like your blog signposted for new readers to check out? Thank you so much!!! I try to keep it all easy to navigate so glad you think that 😊😊😊 And I would really appreciate being linked, will definitely check out the quiz!